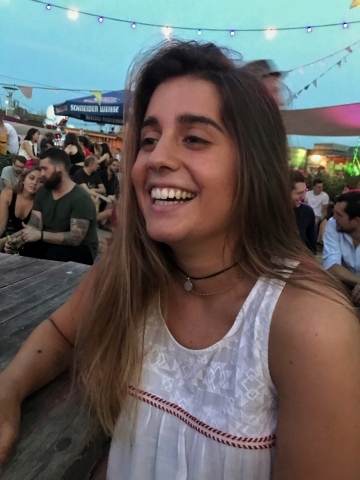 I am Maria, a 20 year old spanish girl who is very much interested in volunteering this summer. I am a third year industrial engineering student and travelling makes me the happiest. I find the atmosphere found in a hostel amazing and I am looking for a new experience abroad. My experience tells me that travelling makes people happy, so I would love to be part of that happinness. I am a good team player, positive, very enrgetic, organized, efficient and easy to talk to and ready to work hard. I speak Spanish, Basque, English and German. I am ready for a new challenge and I truly believe this is the kind of experience I am ready for. Thanks for taking the time to get to know me and feel free to reach me out.